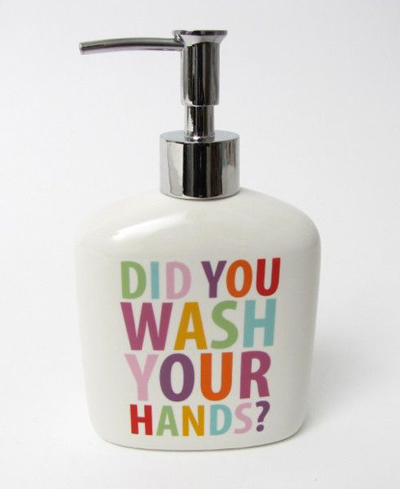 This forward-thinking, stoneware Did You Wash Your Hands? Soap Pump anticipates the so often asked question where it really counts. $14.95. Buy here.